Great audio shows are not born overnight­—they are works in progress. 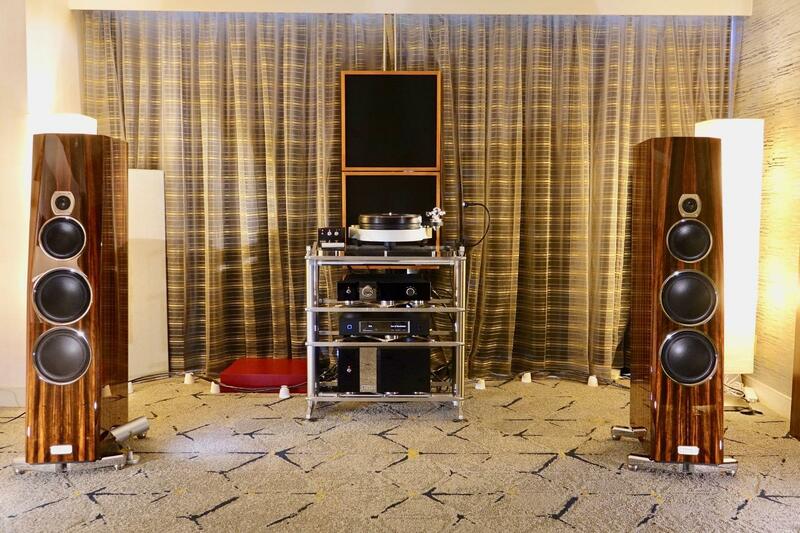 The inaugural LA Audio Show at the Sheraton-Gateway Hotel proved that despite some organizational hiccups there is much potential still to be mined. Indeed, LAAS, hosted in collaboration with the Los Angeles and Orange County Audio Society, needs to bump up attendance. Although remarks from exhibitors and attendees were generally positive, some felt that going forward the show needs to be more strongly marketed and promoted to take full advantage of the vast, relatively affluent Los Angeles basin. But one thing is certain: LAAS will be back. And speaking of vast, my assignment was loudspeakers. But since the show landed so closely on the heels of Munich (and Jonathan Valin’s exemplary loudspeaker coverage), I decided to keep a particular lookout for contenders that compete in more affordable real world terms, as well as some of the coveted and familiar cream of the crop. The Elac Adante may be old news to Munich attendees but not to me. Sporting a bonded aluminum baffle, beefed-up cast chassis, and coincident midrange/tweeter, the AF-61 ($5000) steps up the resolution considerably over the company’s Debut and Uni-Fi efforts. It’s the unique configuration of the three separately enclosed internal 6.5” woofers mated to their own 8” external passive radiators that makes the speaker interesting. Called Interport Coupled Cavity, it has bandpass characteristics, with a higher frequency rolloff that simplifies the crossover. At 87dB sensitivity and a nominal impedance of 6 ohms, the AF-61 requires robust power, which happily was in abundance with the Alchemy Series by Elac DPA-1M monoblocks and associated Alchemy electronics. Sonics featured a grand and immersive soundstage, plus well-controlled bass with a tightly defined, punchy, acoustic-suspension quality. Another home run from Elac, this is an exciting speaker designed to fill larger listening spaces. Audio Summa exhibited designer Alan Yun’s new Silverline Minuet Grand ($1999). The reflex design sports a 1” titanium tweeter and long-throw 5.25” mid/bass, and is 89dB sensitive. Robustly built, with oversized magnets, a rigid enclosure, big voice coils, and a brawny sound, the Minuet Grand was driven by the legendary BEL 1001 MkV amps, seated on Symposium Acoustic racks, and wired with Furutech cables. I listened to a classic Sheffield Labs recording, Jim Keltner’s Drum Record (a CD transfer), which sent the acoustic curtain behind the rear-ported speakers billowing like a mainsail. The Silverline exhibited shut-my-mouth dynamics, timbre, and texture; Keltner’s kickdrum figures were tight and the cymbals airy. During an organ transcription of Pictures at an Exhibition, I thought I’d need a crash helmet, given the demo’s Evel Knievel output levels. But the Minuet Grand also has a more contemplative, intimate side, and was equally expressive at low levels and on female vocals. This was my first alone time with Wilson Audio’s Yvette ($25,500), the replacement for the recently retired Sophia. The experience was more than memorable. To my eyes and ears it most closely resembled Wilson’s own Sabrina after a six-month gym membership. As I listened to “Sweet Georgia Brown” from Ray Brown’s classic Soular Energy 45rpm, I thought the three-way, ported Yvette mated spectacularly well with Constellation’s new Revelation Series electronics, notably the Andromeda phono pre, Pictor preamp, and 250Wpc Taurus Stereo amp. Adding to the resolution was the Continuum Obsidian Viper tonearm (TAS 274’s cover story) with Ortofon A95, QXK racks, Transparent Ultra cabling, power cords, and conditioners. 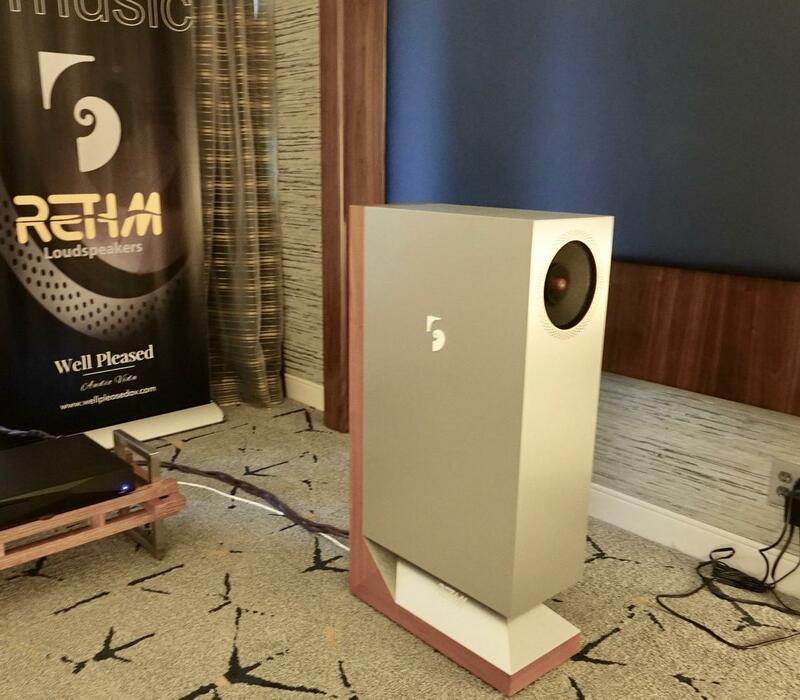 I later heard the Yvettes a second time in the Audio Element/Musical Surroundings room driven by VTL M-450 monoblocks. They imparted a fabulous sense of liveliness and ambience and depth and dimensionality. Tubes or transistors, I realize now that I shouldn’t be left alone in the same room with Yvette. Don’t be fooled by the open baffles of the new top-of-the-line Emerald Physics EP2.4 ($7495) and EP2.8 ($9995). Both are three-way, four-driver dipoles. They come with full-range crossovers (which can be run single or multi-amped) and feature dual 15” carbon-fiber bass drivers. The upgraded and hot-rodded EP2.8 also receives a 12” carbon-fiber midrange (versus the paper cone midrange of the EP2.4) with advanced Neo coincident compression tweeter and superior crossover. Emerald’s DSP24 is also included with the EP2.8 but is optional with the EP2.4. In either case, both speakers virtually disappeared into the soundspace like precision mini-monitors, but with the full-range slam and naturalistic bass response that only a well-engineered floorstander can provide. 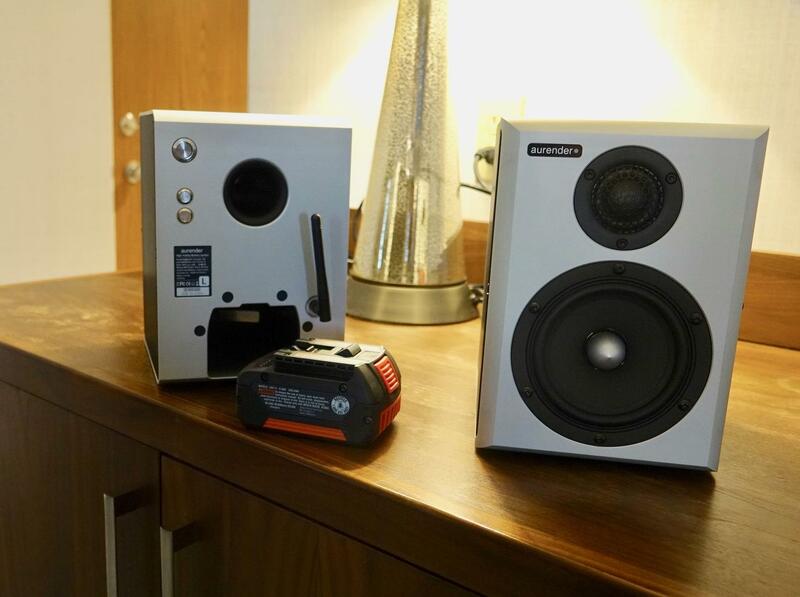 Bryston demonstrated a tri-amped, fully active version of its three-way, four-driver, mid-sized floorstander, the Middle T ($6420). Rather than housing active elements internally like most pro studio monitors, Bryston allows the end user to retain “have-it-your-way” control by adding external amplifiers, including, Bryston hopes, something along the lines of its own B3 series amps and the BAX-1 DSP crossover ($3495). Listening to a selection of Nickel Creek alt-bluegrass, and some sax-driven jazz, I was reminded how often I gravitate to active loudspeakers. The immediacy and speed and bass control with slam is so persuasive that it just gets a little addicting. Dan Meinwald and EAR were making glorious sound with Dragon Acoustics DRC-1, which employs a modular cabinet construction—the head-unit houses dual planar-magnetic drivers in waveguides, atop a much larger bass module that extends from 500Hz downward and includes in-room response correction ($30,000 passive version w/correction) Electronics were all EAR—phono, preamp and 509 monoblocks—along with a Helius Viridia ’table, Phaedra tonearm, Kiseki Purpleheart cart, and Jorma cables Waveform Fidelity cords throughout. The DRC-1 sat atop Townsend Audio Seismic isolation bases. One of the musical highlights of my show was listening to the transcendent musicianship of harmonica wizard Toots Thielemans and bassist extraordinaire Jaco Pastorius aboard this highly resolved system. No one gets the YG Sonja 1.2 to sing like MSB Tech’s Vince Galbo. Driven by a MSB Reference DAC front end and M204 monoblocks electronics with Analysis Plus Golden Oval cabling, the Sonja played DSD through the MSB’s proprietary optimization filters that mathematically correct for DSD upper-frequency noise artifacts, making for digital that simply disappears. 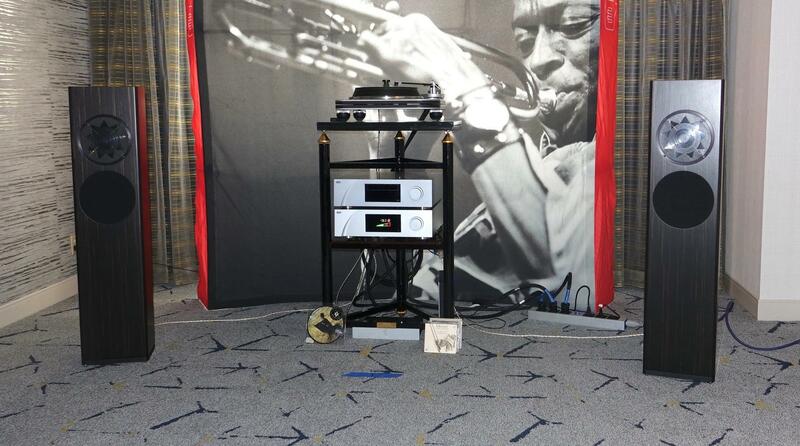 Elite Audio Systems, a dealer based in San Francisco, was making fine sounds via the Manger Audio p1 floorstanding loudspeaker, Spiral Groove LP playback, CH Precision electronics, and Crystal Cable wires. Manger, known for its flat-profile near-full-range driver, offered a smooth, musical, and nicely integrated system that achieved excellent balance in the often boomy Sheraton hotel rooms. I’ll have a review of the Manger p1 in a forthcoming issue. Rethm, the single wideband driver specialist, has a new and novel contemporary-styled model, the Bhaava ($3750). In this instance it adds dual 8” woofers and twin 75W amp modules in an isobaric loading. Aggressively priced Bhaava ships directly from India. The diminutive Wharfedale Diamond 225 ($449) was a nicely balanced small two-way that grabbed my attention with its solid midbass performance and dynamic drive. Driven by Quad Artera electronics pre and player with Isotek Polaris Strip conditioning, this is a great den system. How does a horn the size of the Acapella High Cellini ($55,200) disappear? I wish I knew the answer, but no horn ever sounded like this one before. Driven by Acapella’s own LaMusika integrated and Audio Note digital front end, chorale music was vivid with wide and expressive micro- and macro-dynamic gradations of individual voices and not a hint of the shoutiness so common with early horn designs. The orchestral crescendos during the Mahler 2nd with Bernstein and the NY were, as you can imagine, potent. Down the hall I got another listen to the superb Gamut RS3 two-way compact being fed with Pear Audio ’table and all Gamut electronics and cabling. As I listened to Peter Gabriel’s “Mercy Street,” I arrived at a new appreciation for this speaker. I’ve been impressed by the RS3 in the past, but this was the best “show” example of its wide-ranging capability. A real giant killer of a compact. 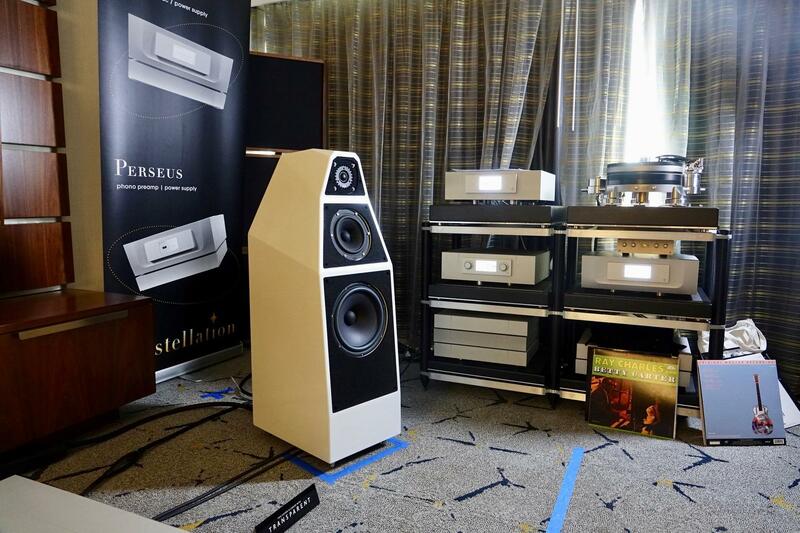 The Audio Association premiered the narrow three-way, nine-driver tower from Evolution Acoustics Exact Series, the Maestoso ($TBA) with DarTZeel electronics, Wave Kinetics ’table, and Durand tonearm with Ortofon mc Anna cart, and a DAC prototype from Talea Audio. 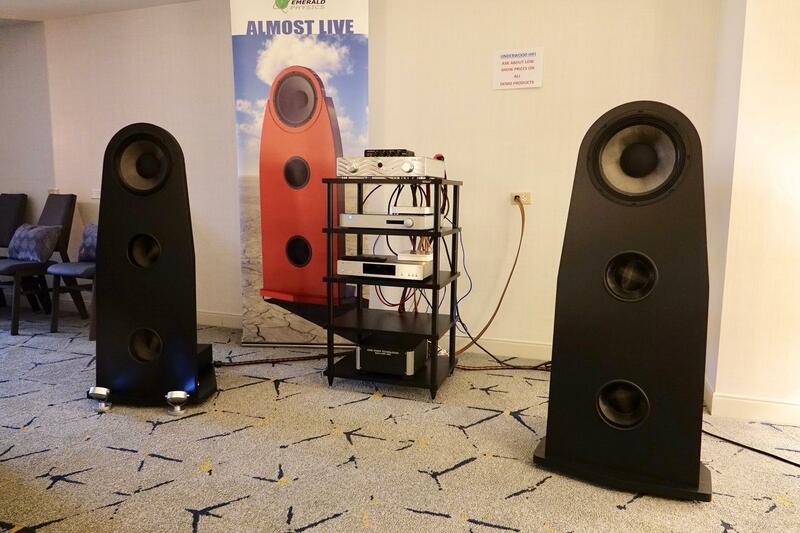 Its very fast transients and wide-open soundstage made a listening impression. Few two-way compacts speak better Italian or are as shapely as the Diapason Adamantes III 25 ($5750). The 25th Anniversary model has been updated and modified throughout reflecting Diapason’s own engineering advancements. With a multi-faceted diamond-shaped cabinet of solid hardwood, it sports a 6” mid/bass and 20mm soft dome tweeter. Later, Mark Waldrep of AIX Records collared me into listening to the Yarra 3DX soundbar ($500 est. ), a 21” powered speaker array with its own tiny sub that uses beam forming to project 3D sound via the multichannel outs from an Oppo player. I was impressed and intrigued by the ambient and immersive environment this little bar created. A Kickstarter campaign is ongoing. Turning to the modest bookshelf/desktop department, the $3k Aurender S5 wireless speaker driven by 18V battery packs (just like the ones you get at Lowe’s or Home Depot) powering two built-in 50W amps. Finally there was the Vanatoo Transparent One ($499/pr. in black)—a 60W powered speaker that can be controlled wirelessly from a smart device. Using a 5.25” mid/bass, a soft dome tweeter, and a passive radiator, the 10”-tall mini was nicely built and packaged and launched some persuasively musical output. 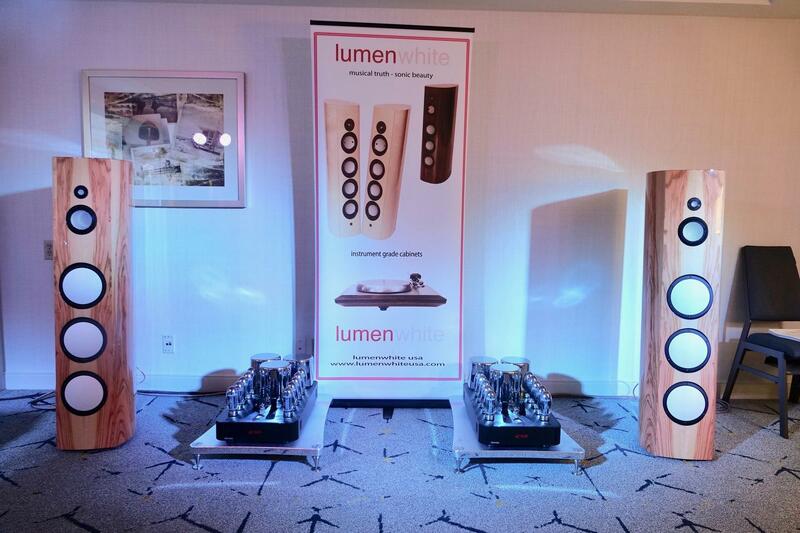 Best Sound (cost no object): Most Surprising was the stunning Lumenwhite “White Light Anniversary ($69,000). Most Awesome remains the MBL 101E MkII ($70,500) with new Noble Line electronics, Most Intriguing was AAudio Imports system featuring the New Wilson Benesch Resolution driven by Ypsilon electronics. 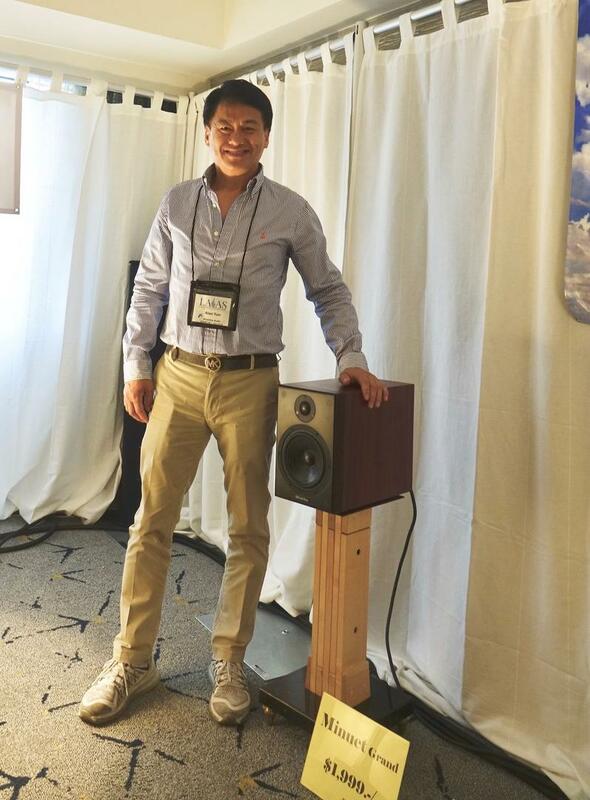 Most Audacious was On A Higher Note’s eye-popping Vivid Giya G2 ($50,000) partnered with Luxman front-end and electronics. 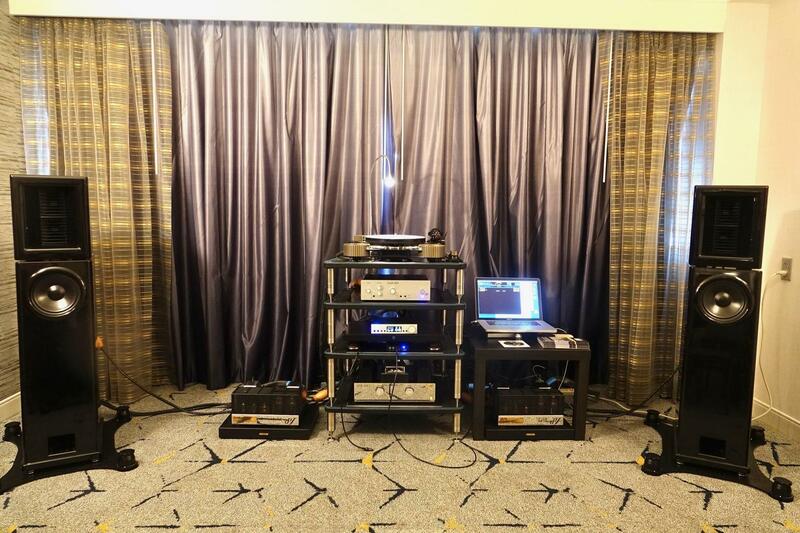 But “dialed in” under show conditions was dealer The Voice That Is exhibit running Tidal Contriva G2 speakers $59,900, Tidal electronics, TW-Acustic Raven GT ’table and 10.5 tonearm, the Transfiguration cart, Aurender N10 Music Server, Dynamic Designs cabling. 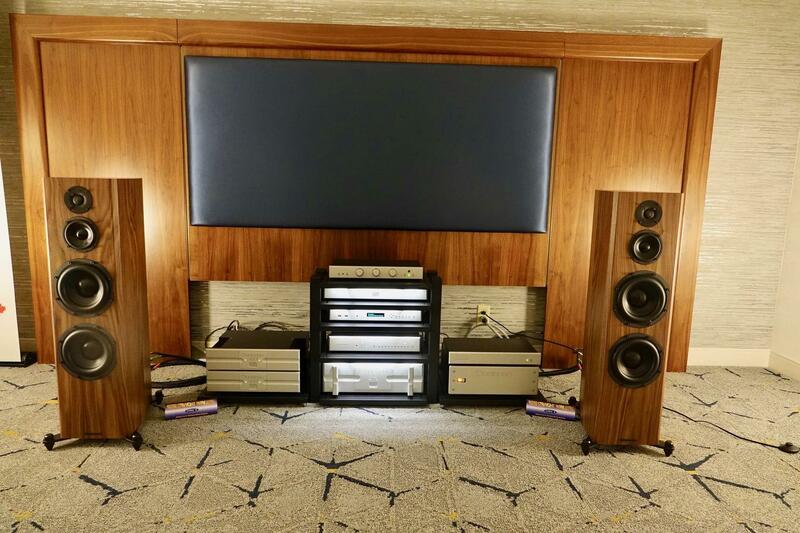 Similar to the system shown at the Newport Show last year, it remains a full, rich listening experience with stunning timbre and tonal color. It just didn’t miss a beat. Best Sound (for the money): I’d go Magnepan but Wendell Diller’s stacked 0.7s were unobtainable, one-offs. Instead my nod goes to Elac’s $5k/pr. 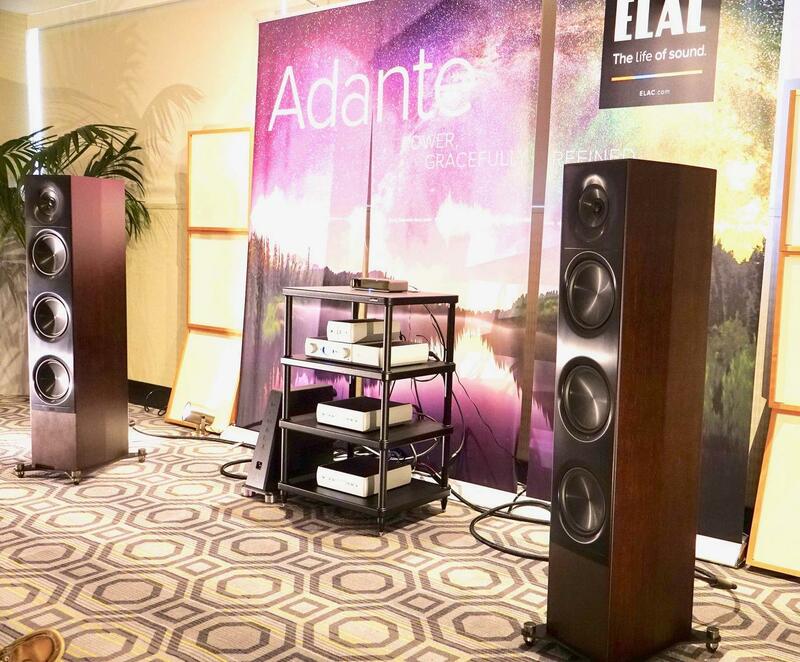 Adante AF-61 floorstanders with an honorable mention to Emerald Physics EP2.4/2.8 dipole and the Studio Electric FS1 floorstander at $5900. Most Significant Product Intro: Make no mistake, MQA isn’t just an encode/decode format, it’s a product. And it seems to be gathering steam as Messrs. Peter McGrath of Wilson Audio and Bob Stuart of MQA demonstrated during a format comparo using Wilson Audio Alexx speakers driven by fine T+A Reference series electronics. A clinic in the art of dynamics. Most Significant Trend: Led by the likes of Elac, PSB, Revel, Emerald Physics, and many others there’s a trend towards value-led, high-performance speakers that should auger well for the high end, as headphone fans consider the tradition of in-room listening. Most Coveted: Thinking of the 50th Anniversary of Sgt Pepper’s, I almost sprang for a Beatles “Butcher” cover but, at eight hundred bucks, stopped myself. I still want one though.